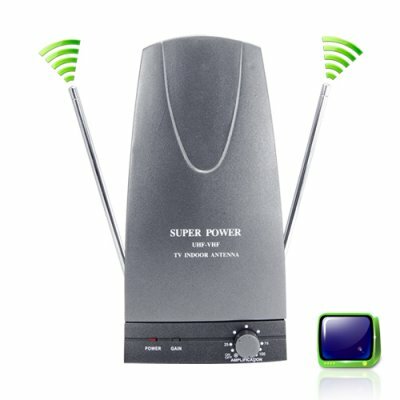 Successfully Added Powered Indoor TV Antenna for Digital and Analog TV to your Shopping Cart. Enjoy high quality TV without paying monthly digital cable or satellite fees with this powered indoor DTV/TV antenna. The device is specially designed to receive digital and analog broadcast signals from the major free networks. Who needs a powered indoor TV Antenna? Anyone looking for a really good antenna for your new digital TV set so you can receive those free HD channels and over-the air-digital programming. In addition, if you are just looking to replace your old passive analog antenna or "rabbit ears" with a powered antenna so you can pick up more TV channels and get a clearer signal, then this is the one product your home really needs! No, this product is not designed for North America.